Angola exports more $12 billion worth of oil to the United States every year, which amounts to 5.7% of U.S. total oil imports, or about twice as great a share as Kuwait had at the time of the 1990 Gulf War. Angola’s exports to the U.S. and the rest of the world are expected to rise, because the country is rich in natural resources and is enjoying robust economic growth as it rebuilds after twenty-seven years of civil war. The war made elections impossible except during a 1992 truce, and although Angola’s human rights record is far from perfect, legislative elections were held on September 5, 2008, with a presidential election scheduled for 2009. Lay of the Land: Located on the Southwest coast of Africa, the Republic of Angola comprises 481,354 square miles (1,246,700 km2), or slightly less than twice the size of Texas. Its capital is Luanda, a city of 4.8 million people. The main portion of Angola is bordered by the Democratic Republic of the Congo (formerly Zaire), Zambia, and Namibia. The small exclave province of Cabinda (2800 square miles, or 0.6% of Angola’s total area) lies about 25 miles north of the main Angolan coastline, squeezed between the Congo Republic, the Democratic Republic of the Congo, and the Atlantic Ocean. Outside of a low coastal strip, most of the nation lies on plateaus above 3,000 feet. Tropical jungle covers Cabinda, while the Mocamedes Desert lies in the south. Ethnic Groups: Ovimbundu 37%, Kimbundu 25%, Bakongo 13%, Mestico (mixed European and African) 2%, European 1%, Other 22%. Languages: Umbundu 36.3%, Mbundu (official) 27.2%, Chokwe (official) 4.2%, Luvale 4.2%, Congo (official) 3.9%, Kwanyama (official)3.8%, Nyaneka 2.7%, Ndonga 2.4%, Portuguese (official) 0.5%. Although Portuguese is the first language for few Angolans, it is the most commonly spoken language in the country, as most Angolans speak it in addition to their native tongue. Much of the population is illiterate, although 67.2% of those age fifteen and older can read and write Portuguese. There are 41 living languages in Angola. Originally settled in prehistory by the Bushmen, around the sixth century Angola experienced a large immigration of Bantu peoples, who were in the midst of one of history’s great mass migrations. The northern half of present-day Angola became part of the Kingdom of Congo, while the southern half comprised the independent state of Ndongo, whose monarch was called the Ngola. Portugal established the colony of Angola in 1575, and gradually increased its power in the region, finally gaining acknowledged dominance over both indigenous kingdoms by 1671. Aside from a brief period of Dutch rule in the 1640s, Portugal ruled Angola as a colony continuously until 1975. During most of the twentieth century, Portugal was ruled by a quasi-fascist authoritarian regime, led by dictator António de Oliveira Salazar, who strongly opposed granting independence to any of Portugal’s colonies, including Angola. An armed revolutionary movement developed in Angola, leading to a war for independence that lasted from 1961 to 1975. After independence, the three main victorious factions began a civil war that lasted from 1975 to 1988, when a peace accord led to elections in 1991. The civil war resumed soon afterward, because one of the losers in the elections, Jonas Savimbi, repudiated the results and resumed fighting. Shortly after his death in 2002, however, the civil war ended. All told, Angola endured almost forty years of nearly continuous war, at a cost of about one million lives, with millions more wounded, more than four million displaced by the fighting, and the country’s infrastructure severely damaged. U.S. relations with Angola have been fraught with tension since Angola’s declaration of independence in 1975.At that time, the United States, along with Zaire (now Democratic Republic of the Congo), China, and the apartheid regime in South Africa, began active support of the National Liberation Front of Angola (FNLA) and the National Union for the Total Independence of Angola (UNITA), against the new government, which was dominated by the Popular Movement for the Liberation of Angola (MPLA) and supported by the Soviet Union and Cuba.Between 1985 and 1992 alone, the U.S. gave UNITA about $300 million in aid to fight a bloody civil war that was widely viewed as a proxy struggle between the U.S. and the USSR.The U.S. did not officially recognize the Angolan government until 1993, after President Bill Clinton took office.Following the end of the civil war upon the death of UNITA leader Jonas Savimbi in 2002, the U.S. has helped Angola recover from its long period of war, and relations between the two countries have gradually become warmer. As the second largest oil producing country in Africa, Angola is increasingly important to the foreign oil dependent U.S. A 2007 report (PDF) prepared for the Council of Foreign Relations went so far as to state that “few African countries are more important to U.S. interests than Angola.” Perhaps the most significant recent development in U.S.-Angola relations was the September 5, 2008, national legislative elections. Observers from the European Union, gave the elections mixed reviews. On the one hand, they praised the Angolans for staging a calm vote with a high turnout. But on the other hand, they noted that “procedural inconsistencies” gave an unfair advantage to the ruling party. U.S. Ambassador to Angola Dan Mozena was satisfied and proclaimed that the election “has a potential to be a model for the coming elections in Africa if all the actors continue to play their part.” With presidential elections set for 2009, the probabilities are great that U.S.-Angola relations will continue to improve. Owing to the lengthy civil war, there has been little cultural interchange or travel between the U.S. and Angola. In 2006, 6,967 Angolans visited the U.S., about half of the 13,896 Angolans that made the journey in 2005. Also in 2006, 4,418 Americans visited Angola, an increase of 21.0% from the 3,651 that visited in 2005. The number of Americans traveling to Angola has climbed gradually since the end of the civil war in 2002, when only 2,912 Americans visited Angola. Approximately 250 Angolan students are studying at American colleges and universities. Angola has the fastest growing economy in Africa, fueled largely by its huge oil reserves, which are second only to those of Nigeria, the largest oil producing nation in Africa. Chevron, the U.S. oil behemoth, is the principal U.S. corporation with large investments in Angolan oilfields, which are mainly offshore. ExxonMobil, the world’s largest energy company, is also active in Angola. Other major players include Bechtel, Halliburton, and Marathon. Synergy Oil & Gas, based in Houston, is a major supplier of oilfield equipment to Angola. Oil accounts for 92% of Angola’s export earnings, followed by diamonds, which earn 7.5% of export income. Trade relations between the U.S. and Angola likewise revolve around petroleum products, which account for 99% of U.S. imports from Angola, out of more than $12.5 billion. Similarly, drilling & oilfield equipment accounted for nearly 38% of America’s $1.3 billion of exports to Angola in 2007. The U.S. and China are Angola’s main trading partners, purchasing 38% and 34% of Angola’s exports, respectively, while most of Angola’s imports come from the U.S. and Portugal. U.S. government activity in Angola includes four agencies—the Department of State, the U.S. Agency for International Development (USAID), the Department of Defense, and the Department of Health and Human Services' Centers for Disease Control and Prevention (HHS/CDC). Further, a variety of federal agencies maintain relationships with the Angolan Government through ongoing projects, including the Federal Aviation Administration, the Department of Transportation, the Department of Commerce, the U.S. Trade and Development Agency, and the Department of Energy. Among the many development projects in which the U.S. participates are a modernization project to improve the country’s civil aviation and various health and humanitarian relief projects. Of the $32.2 million in U.S. aid to Angola in 2006, the largest sums went to fighting malaria ($7.5 million), and demining activities. Security assistance to Angola takes two forms: International Military Education and Training (IMET) funds in the amount of $476,000 to train and educate Angolan military officers in the U.S., and Nonproliferation, Anti-terrorism, Demining, and Related Programs - Humanitarian Demining (NADR-HD) funds, in the amount of $6.1 million for removal of landmines left over from the civil war. Angola's Ambassador to the U.S. Ambassador from Angola: Who Is Alberto Bento Ribeiro? The southwest African nation of Angola has sent its fourth ambassador to the United States since the two countries established diplomatic relations in 1993. Alberto do Carmo Bento Ribeiro, an engineer and experienced diplomat recently called the U.S. Angola’s “most important partner.” He was sworn in on June 29, 2011, and formally presented his credentials to President Barack Obama on September 9. Bento Ribeiro studied electrical engineering at the Rheinisch-Westfälische Technische Hochschule in Aachen, Germany, from 1962 to 1966, with a thesis on “Potential Free DC Transmission,” and also attended university in Lisbon, Portugal. Returning to Angola, he engaged in scientific research. 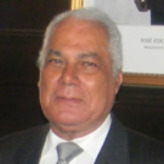 After Angola won its independence from Portugal in 1975, Bento Ribeiro served in several high government posts, including State Secretary of Communications and State Secretary and Minister of Industry, until 1984. He was a member of the Angolan National Assembly from 1980 to 1986 and a lecturer at the Faculty of Engineering at Agostinho Neto University in Luanda, Angola. Making a switch to diplomacy, Bento Ribeiro served as Ambassador of Angola to Namibia (1989), Zimbabwe (1994), Germany (2000) and, concurrently, the Czech Republic (2001). Bento Ribeiro is married to Maria Odete Bento Ribeiro. Angola's Embassy Web Site in the U.S. The southwest African nation of Angola—a youthful country sitting on vast reserves of oil and diamonds—will soon have a new ambassador from Washington in the person of Helen La Lime. A career member of the Senior Foreign Service, La Lime lived in Angola as a child because her father worked for Texaco. La Lime has been detailed to the Defense Department since 2011, serving as director of Outreach for the United States Africa Command. Nominated by President Barack Obama on September 10, 2013, La Lime would succeed Christopher McMullen, who served in Luanda starting in October 2010. Born circa 1951 to Ray and Teresa Meagher, Helen R. Meagher La Lime earned a B.S. at Georgetown University in 1973 and as M.S. at the National Defense University in 1996. After teaching English in France, Portugal and the Netherlands, she joined the State Department in 1980. La Lime served early career postings as a consular officer in Bern, Switzerland, and Stuttgart, Germany; as a consular officer and general services officer in Warsaw, Poland; and as principal officer and consular officer in Zurich, Switzerland. Later, La Lime served as an international economist at the Bureau of International Organization Affairs (1993-1995); as deputy chief of mission at the embassy in N’Djamena, Chad (1996-1999); and as deputy director in the Office of Central African Affairs. After serving as director of the Office of Central African Affairs from 2000 to 2001, La Lime served four consecutive tours in Africa. She served as deputy chief of mission at the embassy in Rabat, Morocco, from 2001 to 2003; as ambassador to Mozambique from April 2003 to December 2006; as consul general in Cape Town, South Africa, from 2006 to 2008; and as deputy chief of mission and chargé d’affaires at the embassy in Pretoria, South Africa, from 2008 to 2011. Helen Meagher La Lime speaks French, Portuguese, Spanish and Polish. She is married to Robert Q. La Lime, and the couple has two children, Matthew and Adriana.